We spend more than one-forth of our life while sleeping, but very few care about the sleeping position. What we usually care is the quantity of sleep and the quality of mattress. Sleeping posture/position becomes a priority only when we go through some sleeping discomfort or back pain. A correct combination of good quality mattress/pillow, sleeping time and sleeping position can make us get most amount of relation in the night time. But a wrong sleeping position can make the whole combination useless and give nights of discomfort and days of back pain. So read the following tips about sleeping position carefully and have comfortable nights. All three of them have certain pros and cons. Sleeping on your back is usually considered best, while sleeping on stomach is considered worst. But sometimes this best position can't suit you, especially if you snore too much in that position or if you are too obese. A healthy person automatically change positions several times in a night. We don't need to train him/her for that. Our body sleeps in the night but a part of brain continuously remains awake and takes care of comfort of body. If it feels discomfort, it will automatically change your position without awaking you. Most of you have noticed that you don't awake in the same position in which you sleep. Sleeping in the same position throughout the night can cause pain in back or neck sometimes. Fetal Position: While researching for best sleeping position, we found that fetal position is mostly discussed. In this position we need to sleep on the left side with our knees bent. Some researchers advised it because a baby sleeps in this position inside mothers womb. However this position might not be comfortable for you if your are suffering from arthritis in your joints or back. If you curl up too high in this position then it can also put pressure on your diaphragm and restrict breathing. Some people use pillow between their knees to make themselves comfortable in this position. But if you are going through some physical ailment and doctor have prescribed you to sleep in some particular position, then you must follow it. Different sleeping positions are recommended for different medical conditions. Some sleeping positions often recommended by doctors in different physical ailments are listed below. But don't follow them without getting an advice from your doctor. Best Sleeping Position for lower Back Pain: Lay flat on your back with a pillow underneath your knees. You may also use a folded towel under the curve of your back for added comfort. Sleeping on your sides with pillow between your knees can also help sometimes. Best Sleeping Position for Neck and Shoulder pain: Here pillow matters more than the sleeping posture. Don't use a pillow that is too high or too stiff. 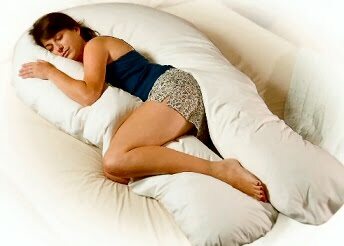 Also make it sure that the pillow gives more support to neck, rather than head. Note: If you are having sciatica pain or pain in shoulders due to some accident then you must consult a specialist. Doing experiment on yourselves can worsen your condition.